The Palladium offices remain a high-energy crucible where ideas, books and other projects are being forged. The Palladium staff and an army of freelancers are streaming out exciting new concepts, while others work on books that have been in the pipeline, and others begin work on new projects for 2014. This week I spoke with Carl Gleba, Matthew Clements, Brandon Aten, Carmen Bellaire, Nick Bradshaw, Mark Dudley, Chuck Walton and a handful of other Palladium creators about projects. We are rockin’ and rollin’ and picking up speed. I just spoke to the printer. 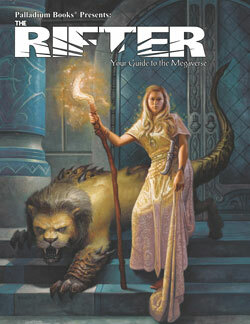 The Rifter® #63 is in the bindery and on track to arrive at the Palladium warehouse Friday. All subscribers and pre-orders will be processed and shipped out tomorrow. Distributors will ship on Monday. This issue is epic, with fun and inspiring material for Palladium Fantasy RPG®, Beyond the Supernatural™, Rifts® and a massive photo spread of 90+ images of the sculpts for Robotech® RPG Tactics™. 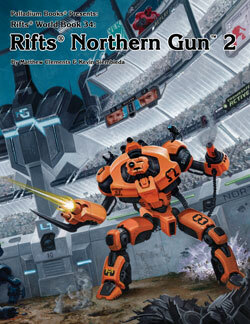 The work on Rifts® Northern Gun™ One is nothing short of outstanding. Chuck Walton’s artwork is stunning, and he has even contributed ideas and a few small bits of text. He is one creative guy. But Charles is not the only art contributor. Mark Dudley, Tanya Ramsey, the Manning Brothers, Amy Ashbaugh and others have all done nice work for this expansive tome. Writing continues to go well. Matthew Clements has jumped back in to fine tune and help, and I remain on fire. Oh, and everyone who learns about the surprise I have planned for the middle and upper tier Megaverse Insider crowdfunding supporters (don’t know if I can do this for everyone!) thinks it is very cool. I know I’m having a blast implementing it. I sure hope everyone who is part of this enjoys it. Still working at an insane pace to get this bad boy done and to the printer. 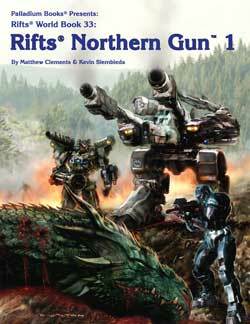 As reported last week, Chuck Walton and other artists have dived back into this dynamic book with more information on the power armor and gear of Northern Gun. I've been assigning art and plotting other aspects for this title. Another great book coming your way in 2013. 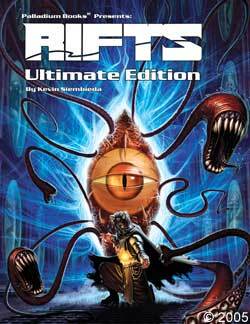 Rifts® remains Palladium’s most popular game line ever, so we wanted to make sure the Rifts® Ultimate Edition hardcover didn't run out. Same core material. Same price. Same quality. 376 pages – $39.95 retail – Cat. No. 800HC – Available now. Robotech® The Macross® Saga Sourcebook is at the printer. In fact, I have already approved the digital proofs for this book. It’s a beauty. Same text and art, different size and format. Time for all of you who didn't like the manga-size to order your copy of Robotech® The Macross® Saga Sourcebook being re-released as an 8½ x 11 inch sourcebook. 128 pages – $16.95 retail – Cat. No. 551 – 8½ x 11 size – ships August 9, 2013. Coming this Fall. And it is going to be fantastic. More about it in future Updates. Thousands of Kickstarter backers are defining their pledge levels and add-on purchases in the Robotech® RPG Tactics™ Pledge Manager. It is in this step that backers are able to select all the Add-Ons they wanted as well as purchase additional Add-Ons! That’s right, you can purchase as many additional Add-Ons as your heart desires, in any quantity. You can also increase your pledge level. Closing Date August 31, 2013. ● When we ship to our Kickstarter supporters – ALL Kickstarter items and Add-Ons will be shipped at the same time, but depending on how much you ordered, they may come in more than one box. ● Kickstarter Backers will get these items as soon as they hit the Palladium warehouse this Fall. They will be shipped BEFORE they are shipped to distributors and retailers. ● Only the Box Game and initial wave of retail releases (see the full description elsewhere) will arrive in the actual retail packaging. MANY of the items made available to Kickstarter Backers – like the Monster, Ghost and others – will not be made available on the retail market until a few months down the road. Expansion Packs will be released in waves over time. Our Kickstarter supporters, however, get them right away! That means many of these “advance” Kickstarter items will not come in the retail packaging, but simple bags. ● Sorry, no details about the Robotech® RPG Tactics™ Battle Foam carrying case other than it will be cool. It is still under development. Gen Con is coming up fast and we are pumped. If you are attending, make sure you swing by Booth #1025 to get the latest releases and books you've missed, purchase original art and art prints, experience Robotech® RPG Tactics™ demonstrations, chat and get autographs. Oh, and you’ll be able to see many of the final sculpts for Robotech® RPG Tactics™ on display for the first time anywhere. Palladium is about to explode back on the scene with game products that will thrill and beguile your imaginations. Join the fun and game on. We still have to look into hotels and other details, but we are 98% certain we will host a 2015 POH – end of April or early May 2015. I think it is safe for you to start saving up and making tentative plans. Our thanks to the volunteer Game Masters who will be running a slew of gaming events. 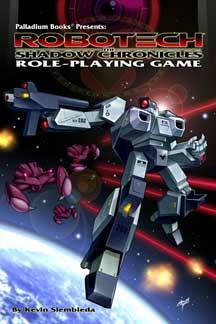 If timing works out, Robotech® RPG Tactics™ may debut there. Detroit Fanfare is estimating 8,000-9,000 people in attendance this October! And growing. It’s held at the Adoba Hotel (formerly the Hyatt Regency and only 20 minutes from the Palladium offices), in Dearborn, Michigan, October 25, 26 & 27, 2013. Join the fun. 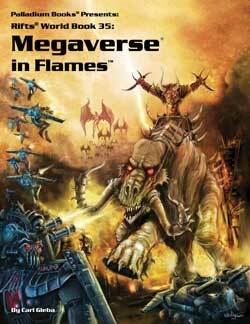 We have a couple of things we’ll be sending our Megaversal Ambassadors for their supportive effort running gaming events and demos for Palladium Books at conventions and game stores. You guys and gals are appreciated and thought of often. Those are this week’s highlights. Palladium Books is on the move. I thought it was just me, but Julius and Alex agree, this issue feels especially fun and exciting. It is filled with all kinds of useful background and source material for Beyond the Supernatural™, Palladium Fantasy® and Rifts®. Nice artwork, too. 96 pages – $11.95 retail – Cat. No. 163 – Ships July 26. 160 pages – $20.95 retail – Cat. No. 887 – Early August release. All the famous mecha and action of Robotech® starts here with the Macross Saga when an alien armada enters Earth orbit. They have come to reclaim a lost spacecraft that crash-landed on Earth 10 years earlier. A space fortress that Earth’s protectors have rebuilt into their own flagship against alien invasion. The resulting conflict gives birth to heroes and becomes the stuff of legend, but the Earth will never be the same. 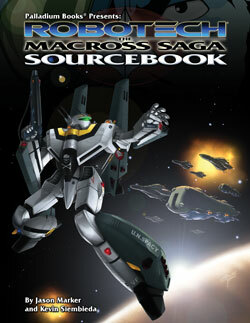 Robotech® The Macross® Saga Sourcebook will soon be available as an 8½ x 11 inch sourcebook. 128 pages – $16.95 – Cat. No. 551 – standard 8½ x 11 size – ships August 9, 2013.